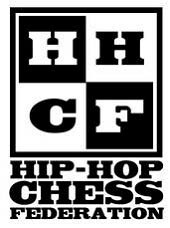 January 26th, 2015 Los Angeles, CA – The Hip-Hop Chess Federation (HHCF) is happy to announce its Founder, Adisa Banjoko will be releasing a new book detailing the connections between Hip-Hop, chess and martial arts entitled Chess is Jiu-Jitsu for the Mind. The book will also look at how chess and military strategy can be applied to art and business. 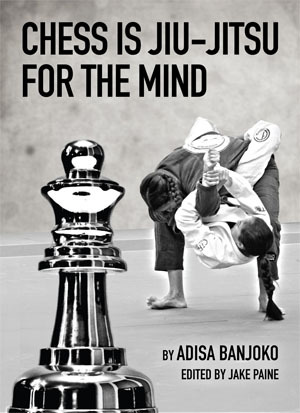 A FREE PDF Sampler of Chess Is Jiu-Jitsu for the Mind is attached. “Bobby Fischer was at his apex in the early 1970’s. At the same time Hip-Hop was being created on the streets of New York” stated HHCF Founder, Adisa Banjoko. “The Kung-Fu cinema explosion occurred shortly after. The military strategies and Eastern Philosophies from Shaw Brothers films and the rise of Bruce Lee changed Hip-Hop, chess and martial arts, in America forever. Today’s young people need new strategies to face complex problems in our country and the world. This book is meant to help them rise above the negativity around them.” Chess is Jiu-Jitsu for the Mind ends with a worksheets on HHCF methodologies to enable people to incorporate more philosophies from the chessboard in their day-to-day decision making. Adisa Banjoko recently served as the education consultant to the World Chess Hall of Fame exhibit Living Like Kings currently open in St. Louis, Missouri. 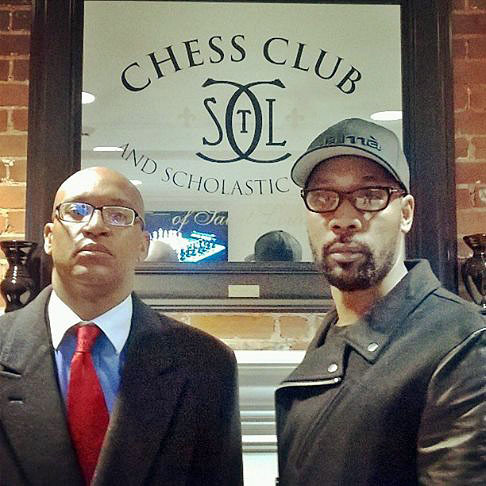 RZA from Wu-Tang Clan (HHCF’s Director of Ourtreach) and Adisa spent time in St. Louis last year speaking hundreds of at-risk teens, including incarcerated youth. The lecture centered impact of chess and martial arts on their discipline and decision making. Street Games Vol. 2 will feature their talk to incarcerated youth in it’s entirety. HHCF will be opening offices in St. Louis for the cause of peace later this year. You can also listen to to the first song off HHCF Street Games Vol. 2 Mixtape entitled Chess Hustlers Anthem, produced by S2dn Music AKA 5th Ryder. Chess is Jiu-Jitsu for the Mind drops in April 2015 on IBL Publishing. This book will definitely inspire the minds of people and give them the opportunity to create innovative ideas that is need to face new challenges in the world. Thanks for sharing!! Wonderful Work! as an ULTRAMODERNIST I look forward to the fruits this book will brinG im at the Buffalo Public Library checkin yall out, Ya KNOW its easy to Underestimate UNIQUE WORK IN CHESS!! !